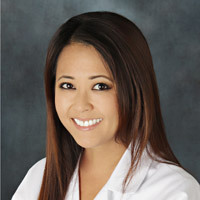 Dr. Jennifer Chew is a native of Sacramento, California. As a daughter of an Internist, she knew from an early age that primary care medicine was in her future. She attended UC Berkeley where she pursued her Bachelors of Science in Clinical Nutrition and Metabolism and graduated with distinction of highest honors. She then returned to her home town of Sacramento to complete medical school training at UC Davis School of Medicine. Dr. Chew graduated from the Internal Medicine-Primary Care Track Residency program at UCLA Ronald Reagan Medical Center and currently practices primary care in UCLA's new South Bay clinics. Dr. Chew is trained in chronic disease, women's health, routine physicals, urgent care, geriatrics, as well as comprehensive complex medical disease management. She remains deeply interested in nutrition, particularly in obesity, weight management, and nutrition education for patients. When not working you will find her practicing yoga, playing with her dog and cheering for her favorite Bay Area sports teams.